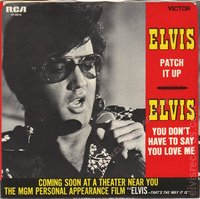 Disc: (10/1970). 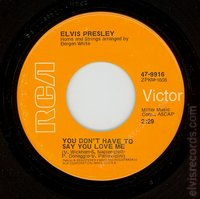 Yellow label, NOT FOR SALE. 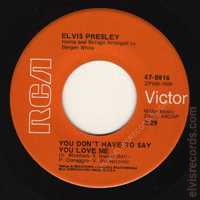 On the YOU DON'T HAVE TO SAY YOU LOVE ME side, YOU DON'T HAVE TO SAY on one line and YOU LOVE ME on another. On both sides, on top, Arranged is capitalized. 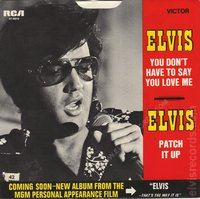 Disc: (10/1970). 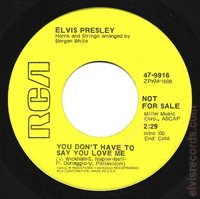 Orange label. 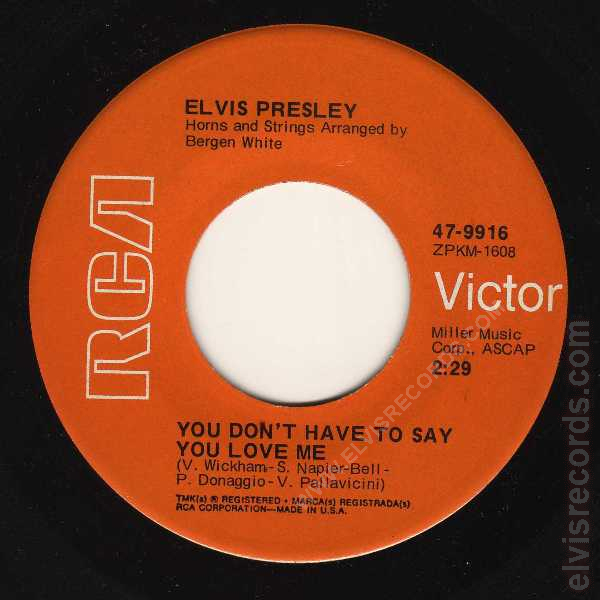 On the YOU DON'T HAVE TO SAY YOU LOVE ME side, YOU DON'T HAVE TO SAY on one line and YOU LOVE ME on another. 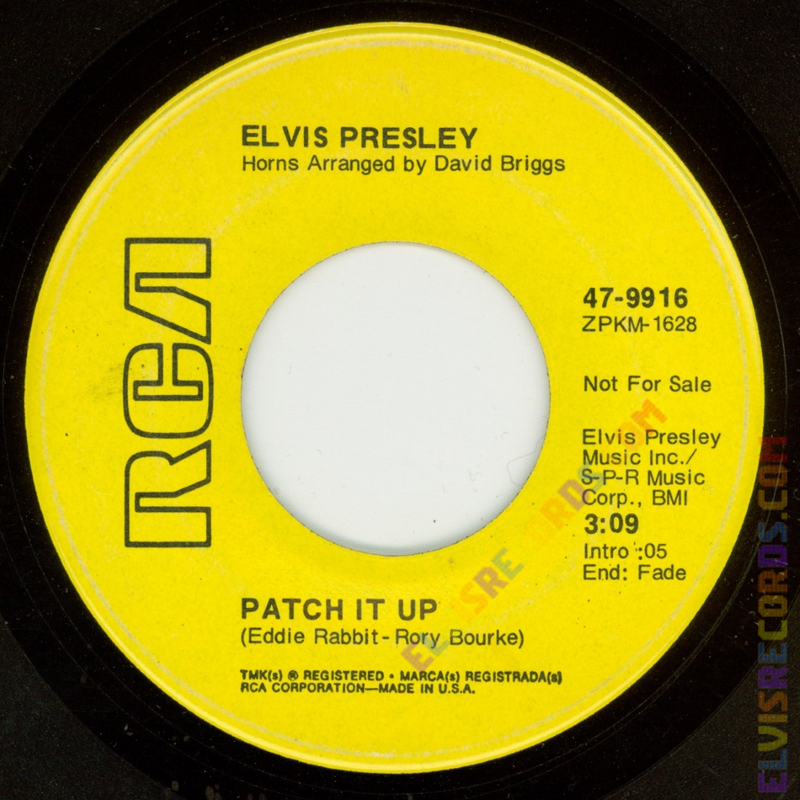 On both sides, on top, Arranged is capitalized. Disc: (10/1970). Orange label. 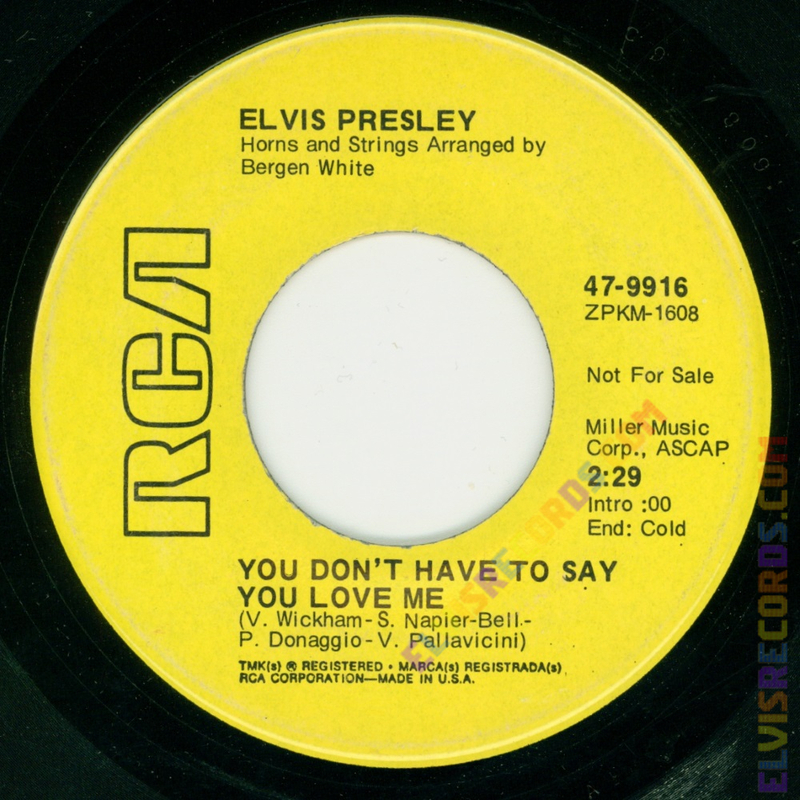 On the YOU DON'T HAVE TO SAY YOU LOVE ME side, YOU DON'T HAVE TO on one line and SAY YOU LOVE ME on another. 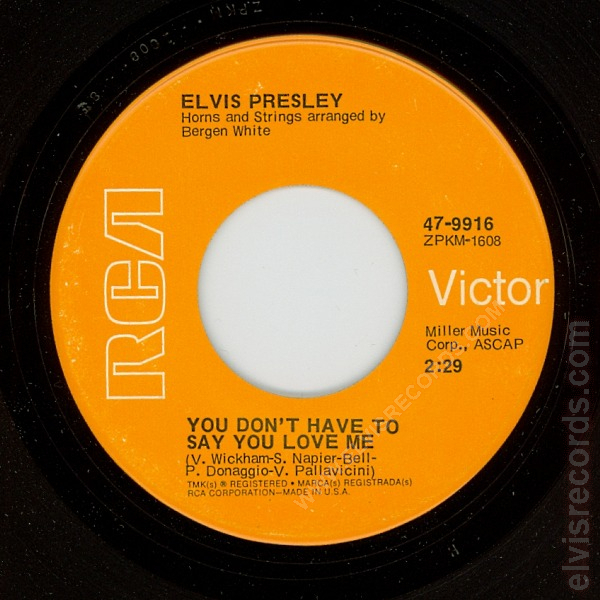 On both sides, on top, arranged is not capitalized. 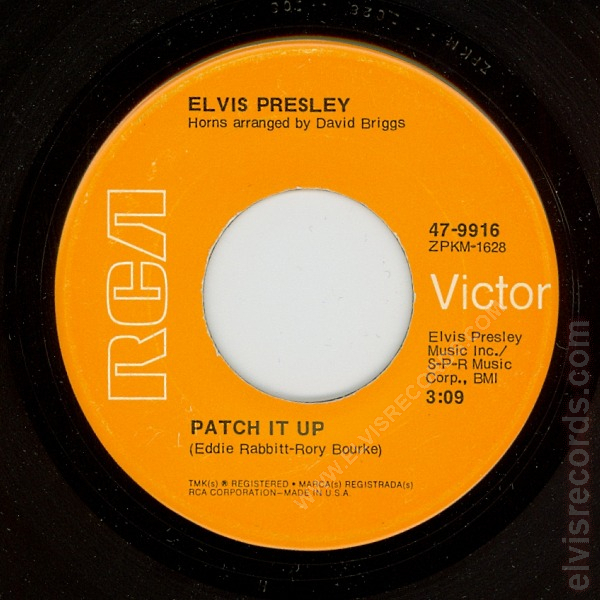 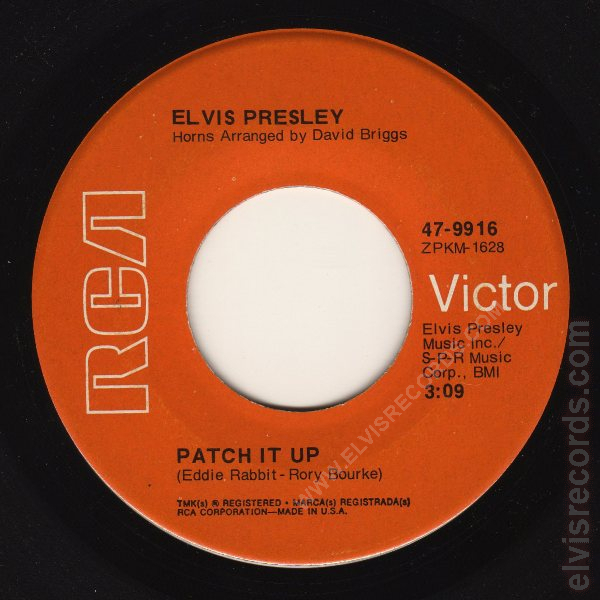 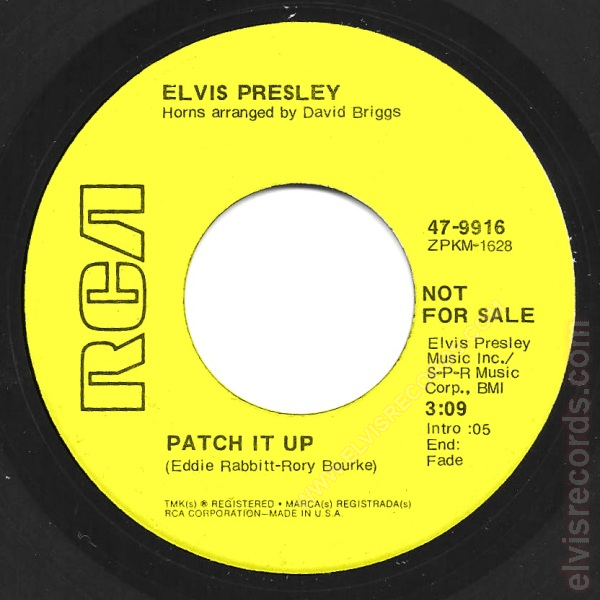 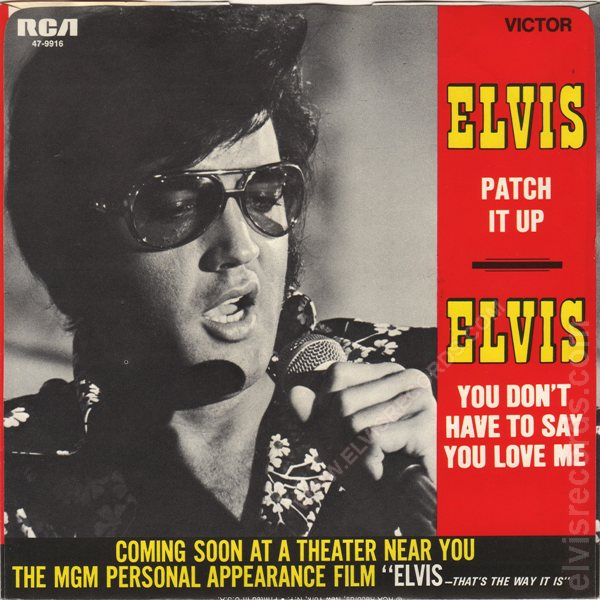 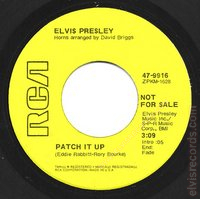 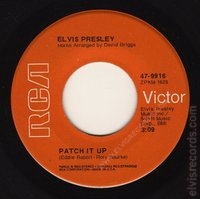 Re-released by RCA Records on 45 RPM as You Don't Have To Say You Love Me / Patch It Up on the Gold Standard Series label.